"St George's is a place of imagination, industry and reflection. It is a vibrant place where we seek to provide opportunities, to optimise talents and abilities, and to explore and to appreciate diversity of thought, experience and action. We also set ourselves high standards. We hope that this spirit and our aspirations infuse and inspire our residents, guests, and visitors. This is a fine College in which to study and learn. It is also a place to be enjoyed. I welcome you - whether as a student, friend or guest - to St George's, where we endeavour to conserve the best of the past, to promote the best of the present, and to seek the best for the future." St George's College, founded in 1931, is the premier residential college at The University of Western Australia. It has approximately 220 residents, evenly divided between men and women, who all study undergraduate or post-graduate courses at Perth Universities. They are supported by the College's well-developed academic, cultural, sporting and leadership programs and extensive student care systems, which enrich the lives of its residents and provide them with opportunities and experiences in an encouraging and well-managed environment. 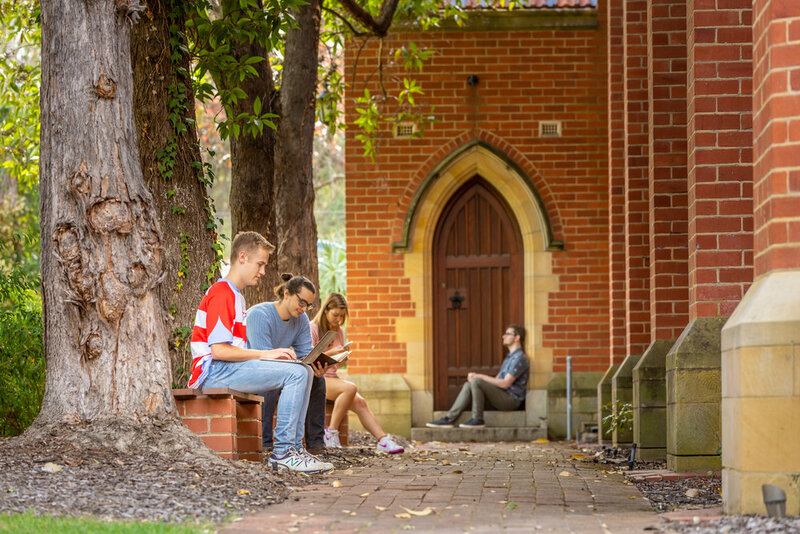 The College has a blend of residents from regional Western Australia, metropolitan Perth, overseas and interstate. Students from every background are welcome at St George's and add to the diversity of skills and outlooks that the College encourages. St George's is located directly opposite UWA and between the Swan River and King's Park. Its original buildings and chapel, in the Victorian Gothic Revival style, represent one of the most attractive and important precincts of historical buildings in Western Australia. The College also features heritage-listed gardens.